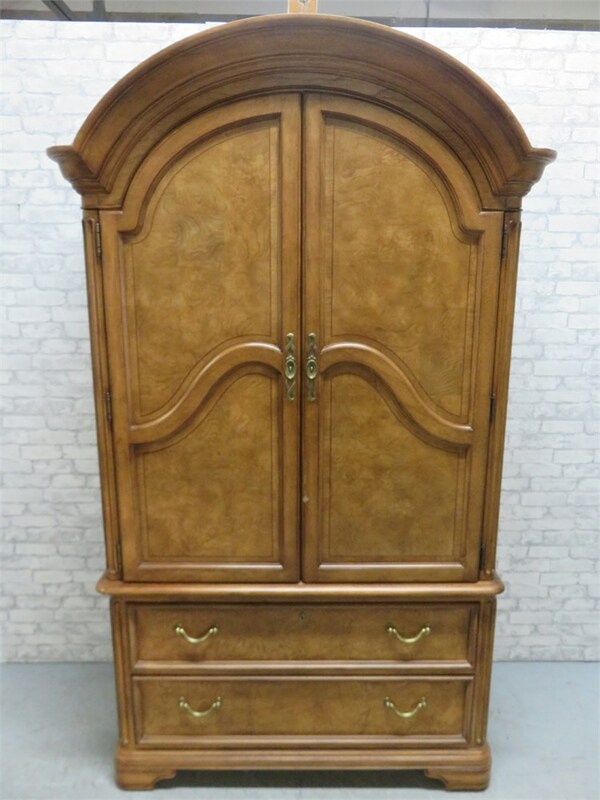 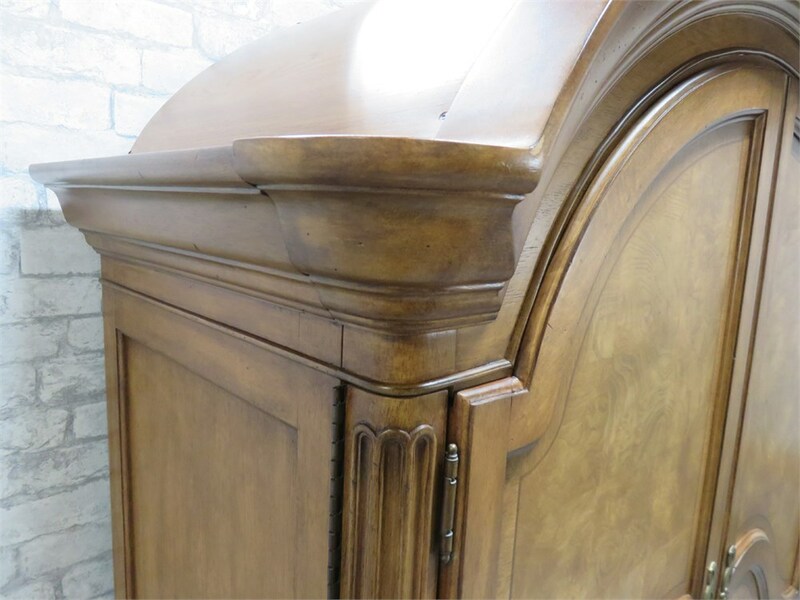 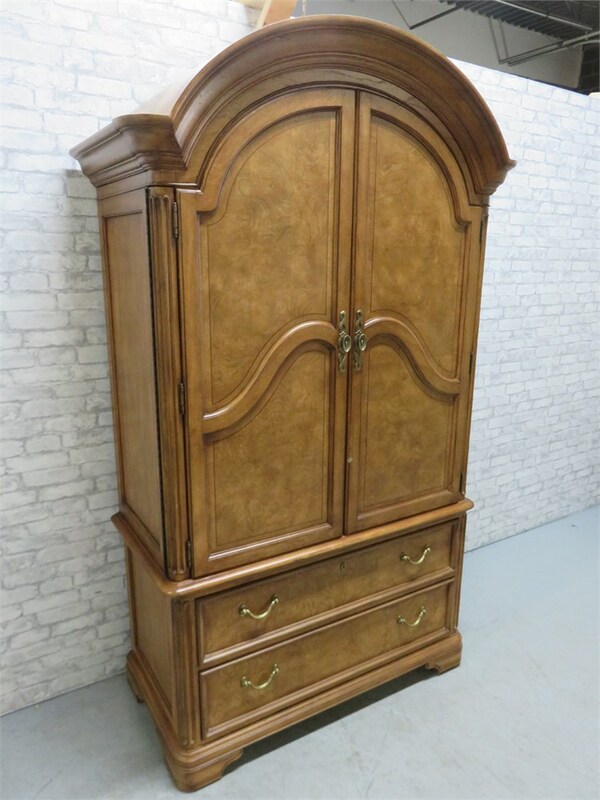 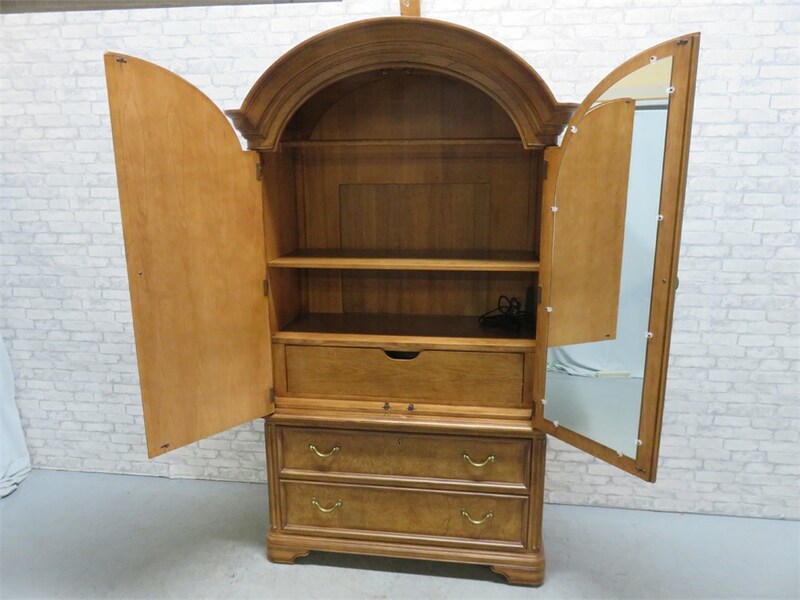 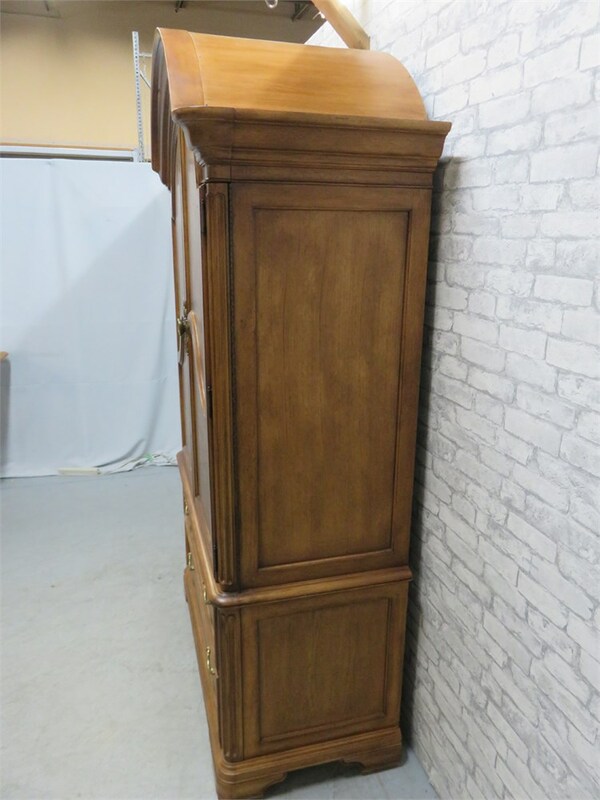 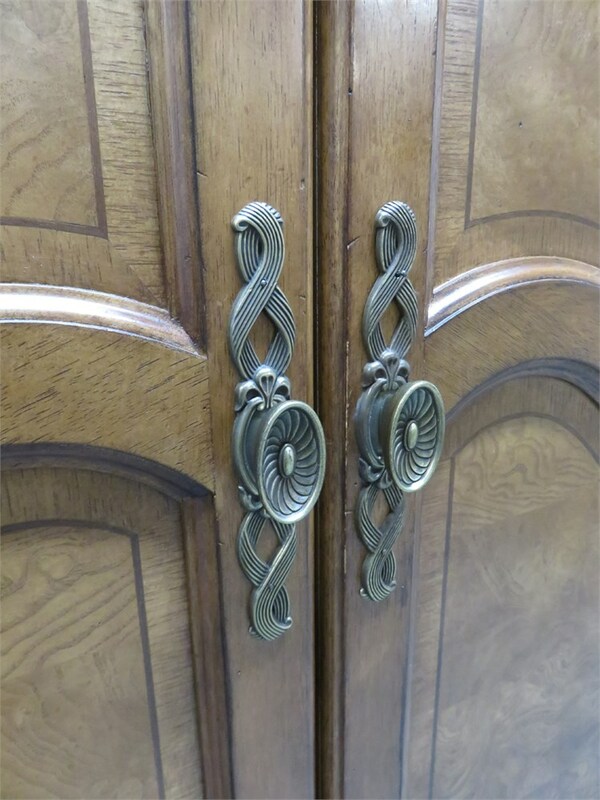 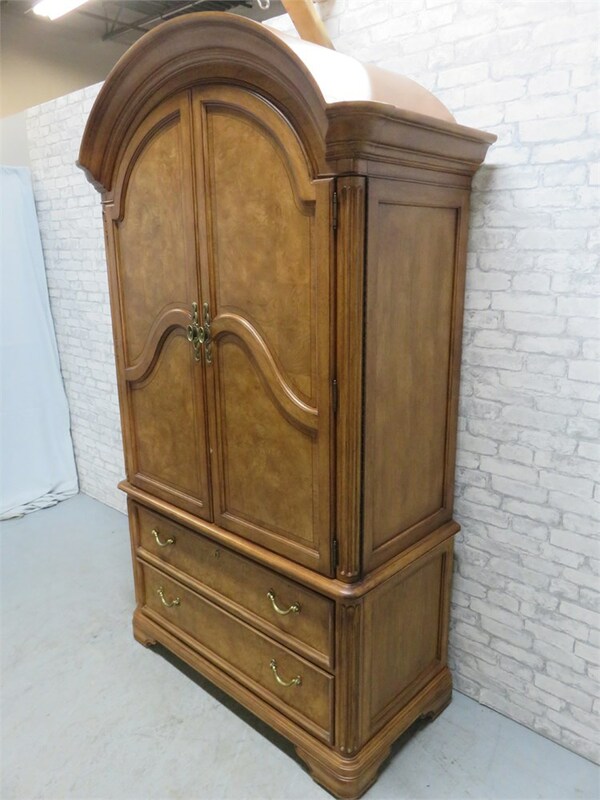 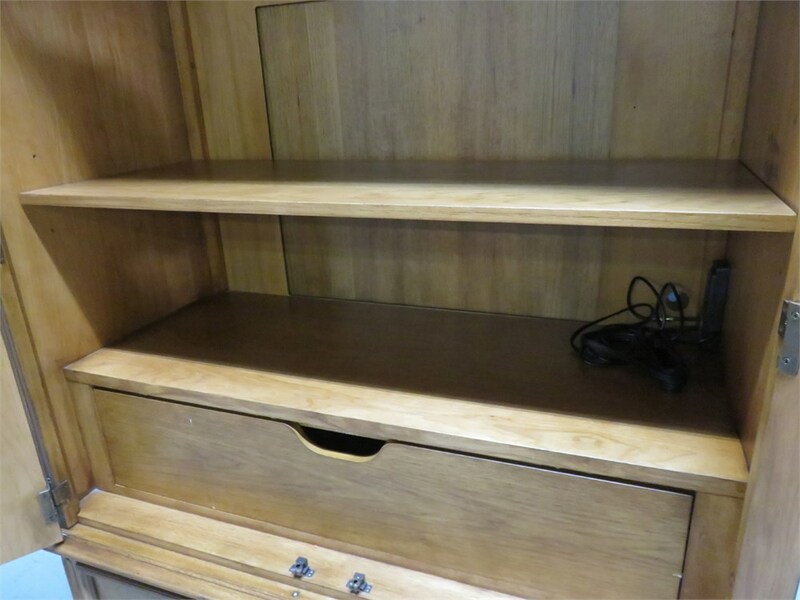 A towering Thomasville 2-piece armoire that can be utilized as either an entertainment center or wardrobe cabinet. 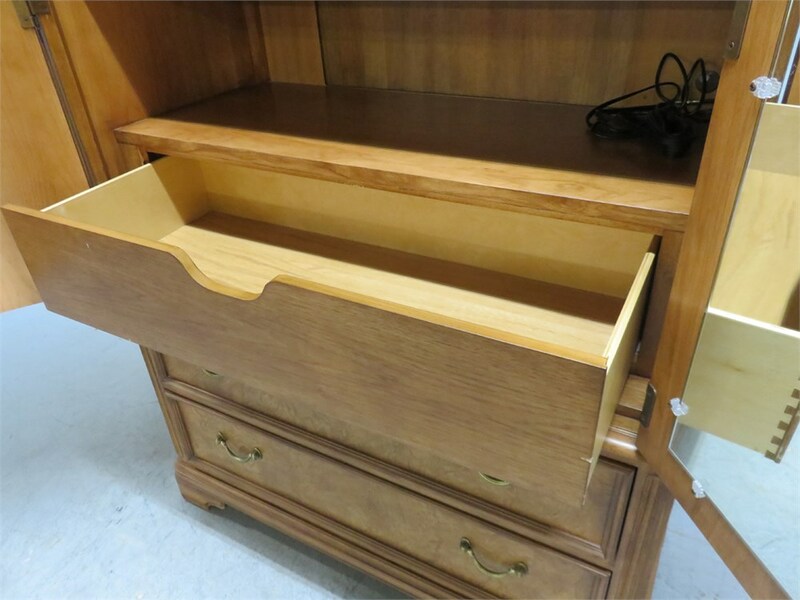 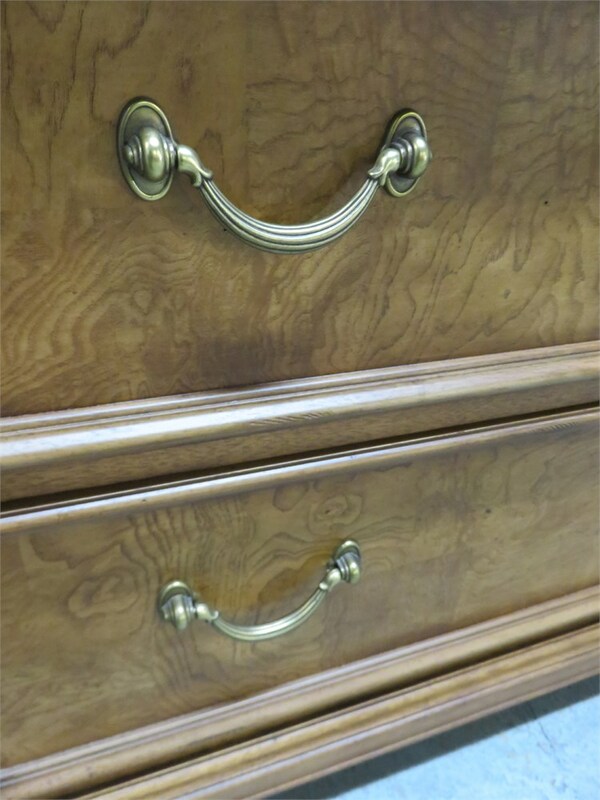 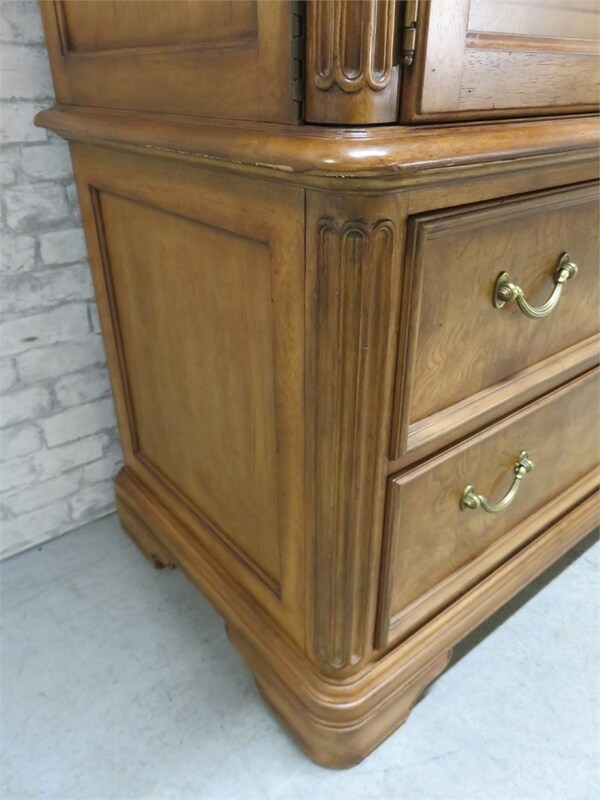 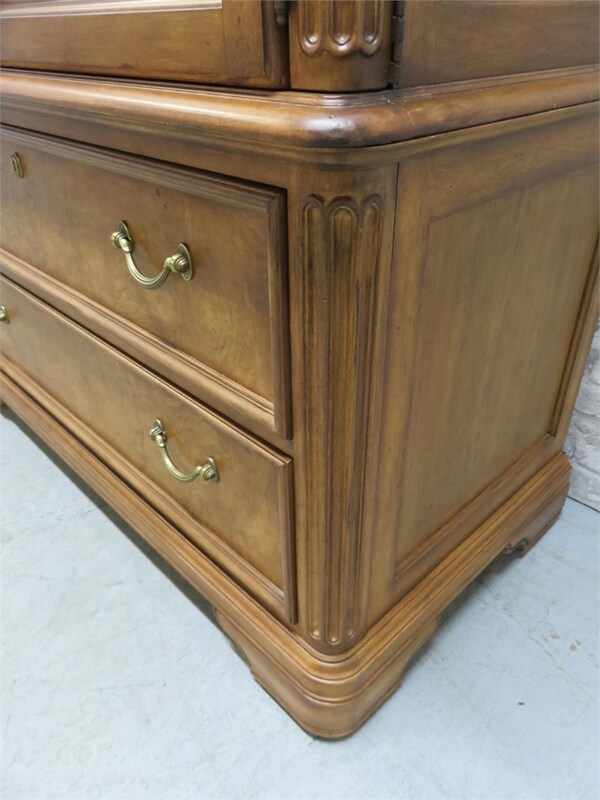 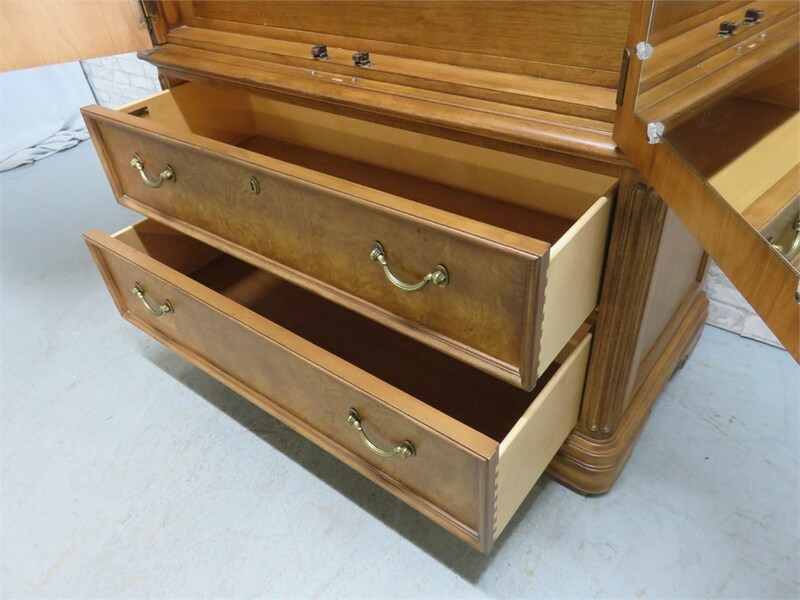 Features burlwood panels and a 3 dovetail drawers. 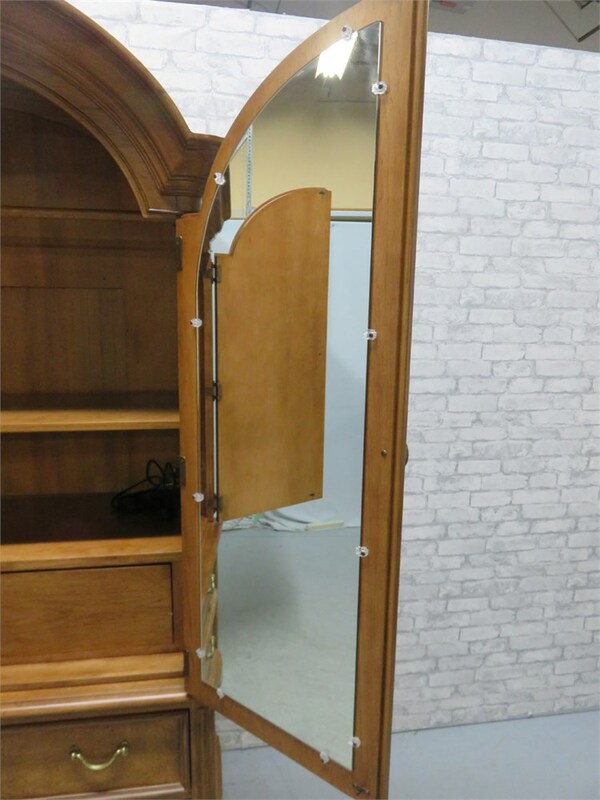 A clothes hanger rod spans across the inner top and a long mirror is mounted inside one door. 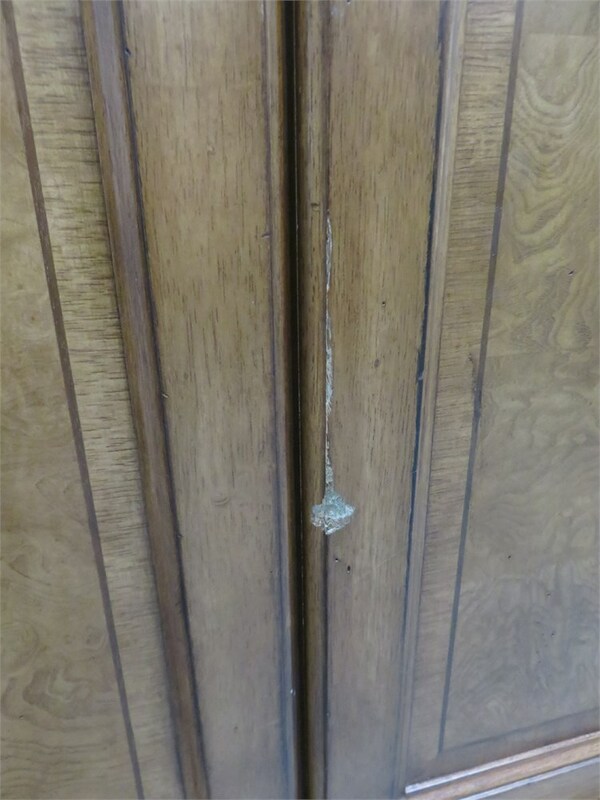 There is a small chip on the outer door trim.